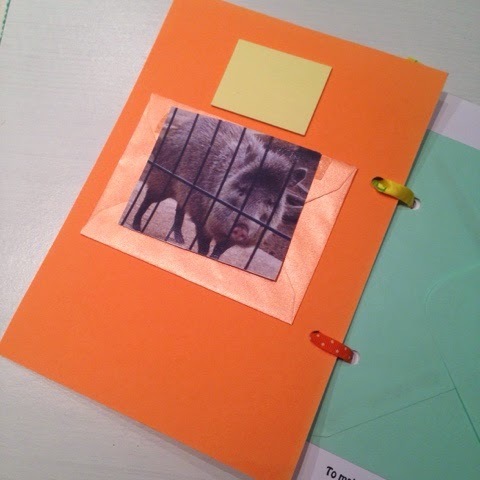 I'm showing you something a little different today for papery peep. 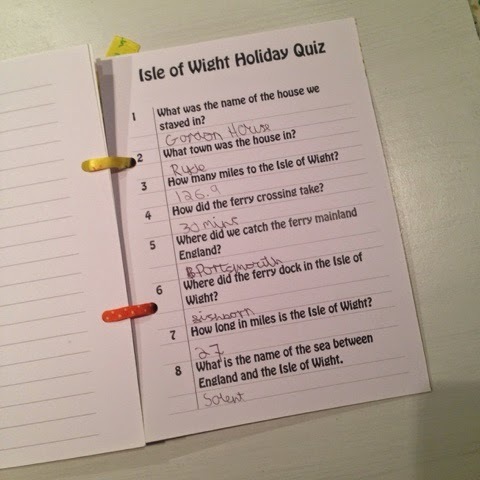 I found Hayden's travel journal from 2010 when we took the teens to the Isle of Wight for a weeks holiday. 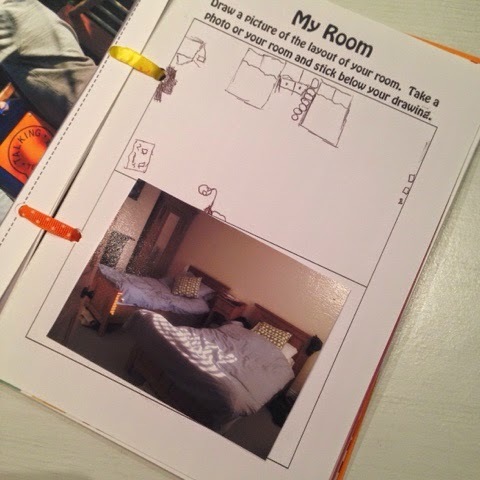 Each night the children had some down time to write in their journals, they left spaces for any photo's that they wanted to include and used post it notes to a mark where photos should be. 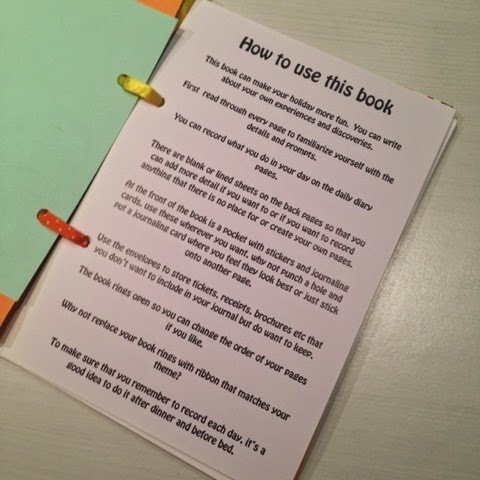 I added some guidelines at the beginning of the book for them and to help them get the memories written down. I provided areas, where they could draw and add photo comparisons. It's funny to think that when the Teens were creating these, we had absolutely not idea that T was going to come into our lives. 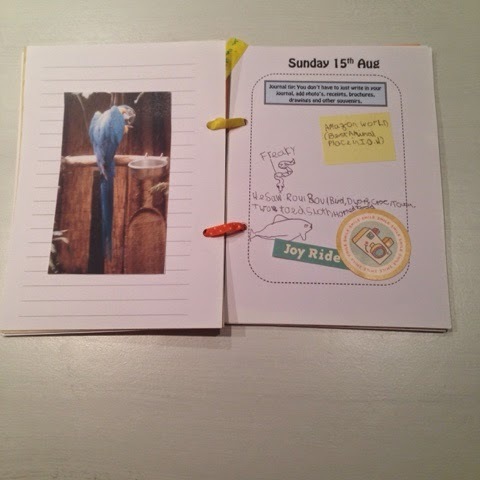 Each date has its own diary day, with a journaling prompt to help them. 10 year old H was a boy of few words and was far happier drawing pictures to express his day. 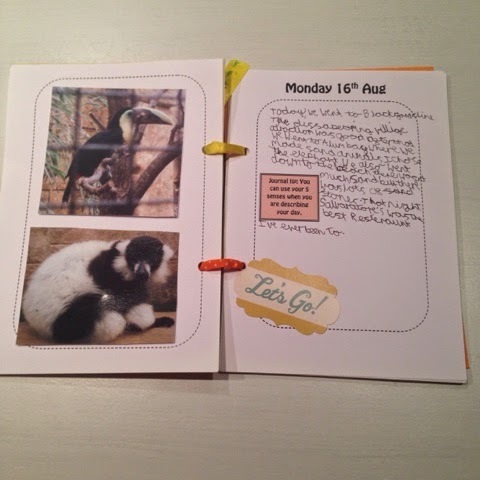 There's plenty of room on each diary page for photos to be added. 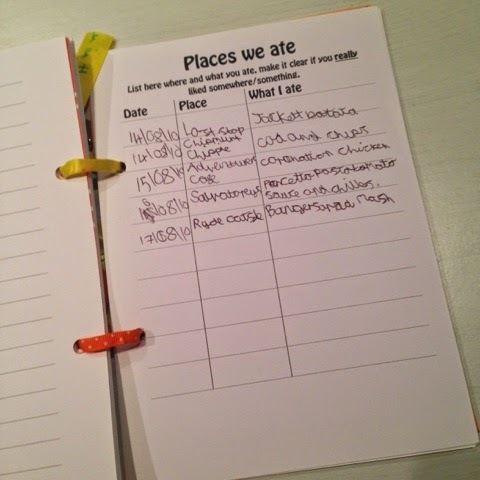 I added some logs in the back including spending logs, places we ate, places we visited, wish lists etc. 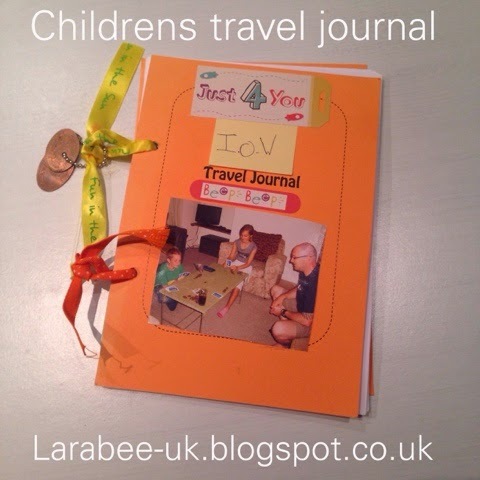 In this particular journal I included a quiz and a map with stickers to denote where we had visited. 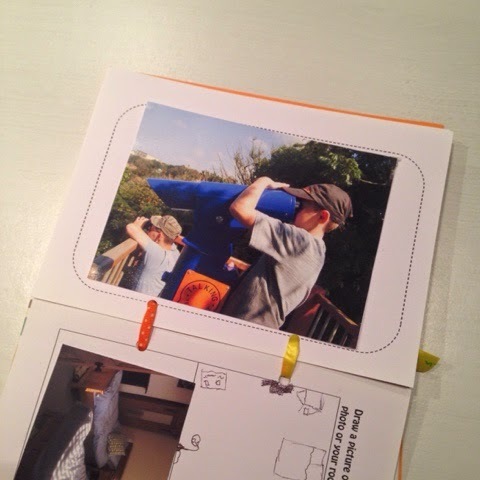 I created something similar although a bit more basic for T for our Bluestone trip. I love having these books to look back on, I in fact have some from my childhood which I remember lovingly writing on our numerous caravan holidays. I hope you've enjoyed this months papery peep, I've certainly enjoyed the trip down memory lane.